Eldest is 'resident assisting' a Girl Scout 'Hermione Granger' camp this week, and (as the Prefect for Hufflepuff) is accompanying her girls to the show. Unlimited soda and popcorn. 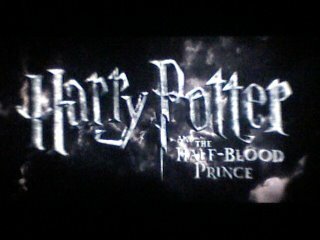 So he won't be left out, I'm now with the Man-Cub at another showing of The Half-Blood Prince. Albeit without the unlimited soda and popcorn.